The B6 generation Audi S4 is something of a jack-of-all-trades in the world of late model performance super-sedans. It isn't as fast or viscerale as an STi or Evo, but it is far more refined. The S4 might not offer as much straight line punch as an E55 AMG, but it offers a manual gearbox and the safety of all-wheel-drive. If you want a well rounded sport sedan, this is your car, and prices are surprisingly low. 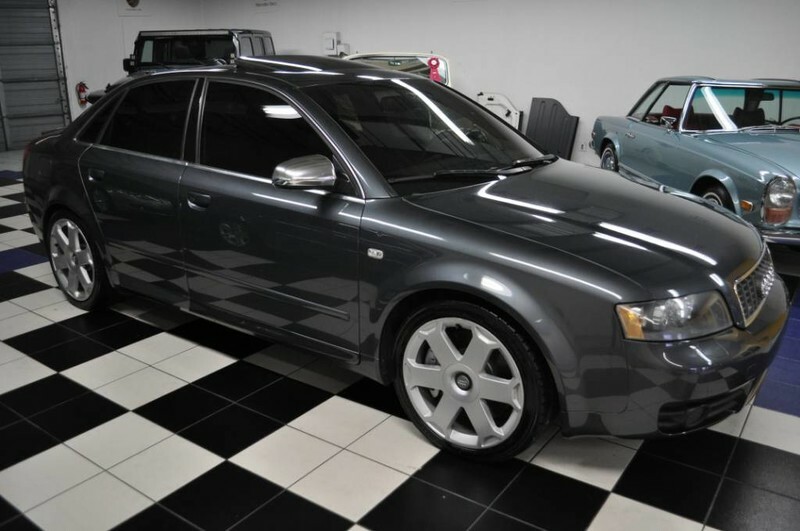 Find this 2004 Audi S4 offered here on eBay for $9,500 buy-it-now or make-offer located in Pompano Beach, FL. 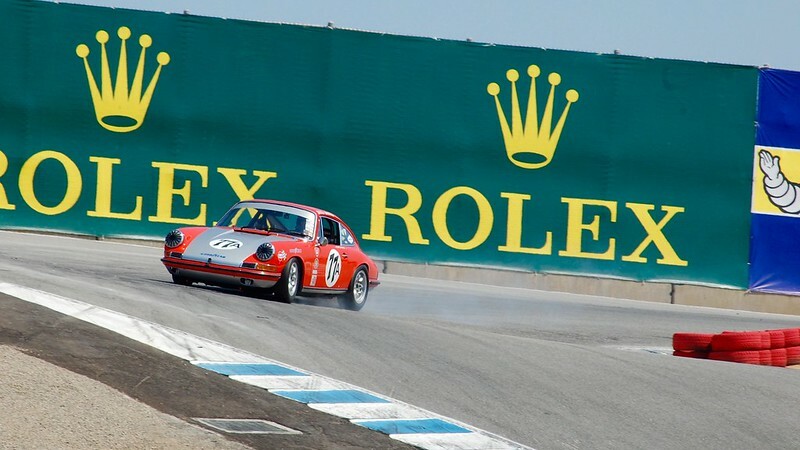 A rear engined Porsche is iconic, collectible, and desirable in just about any configuration -- even the detestable 912 is priced like some kind of ancient Ming Dynasty vase. 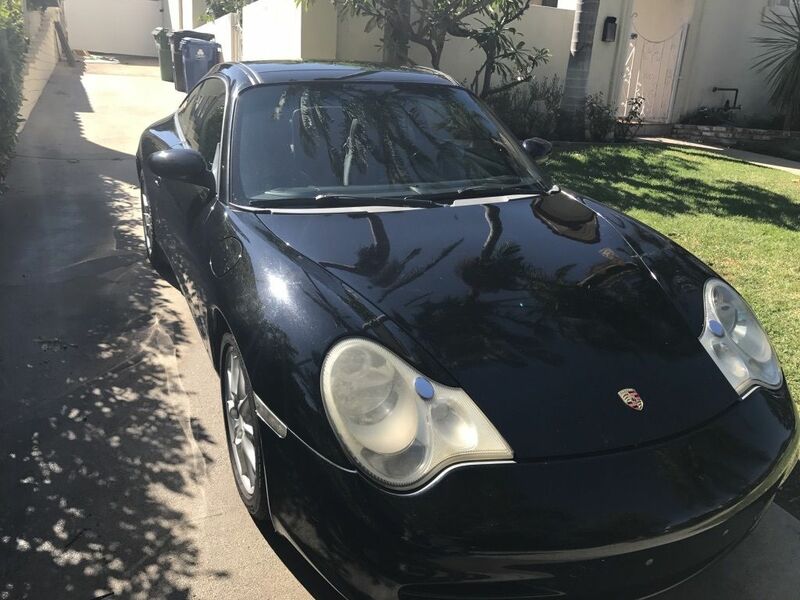 So the real question is --how do you get a cheap rear engine Porsche that you could (maybe?) drive without breaking the bank. You gotta ask yourself, do you feel lucky? Well...do ya...punk? Find this 2002 Porsche 911 Targa here on eBay bidding for $8,445 with 3 days to go, located in Los Angeles, CA. The first generation Oldsmobile F-85 was a unibody compact that didn't sell particularly well (everybody wanted a Corvair! ), but the 2nd generation, introduced in 1964, was upsized to the body-on-frame A-platform (shared with the Chevrolet Chevelle, Buick Special, and Pontiac Tempest). This next example is a 4-door, but the price is great. 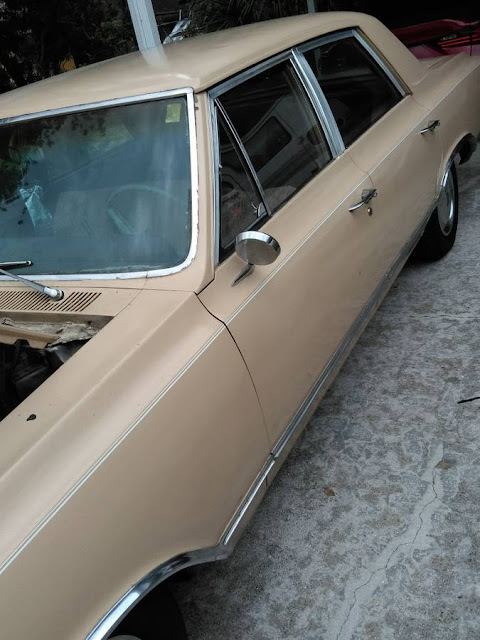 Find this 1965 Oldsmobile F85 Cutlass offered for $3,500 near Ft Myers, FL via craigslist. Tip from Dascpcu. The Golf mk4 based Audi TT was released in 1999 with Bauhaus styling, room for 4 (in the coupe), and a transverse mounted 20-valve inline-4 that used a small turbo boost up the fun. It wasn't a bad car but prices today are ridiculously low. 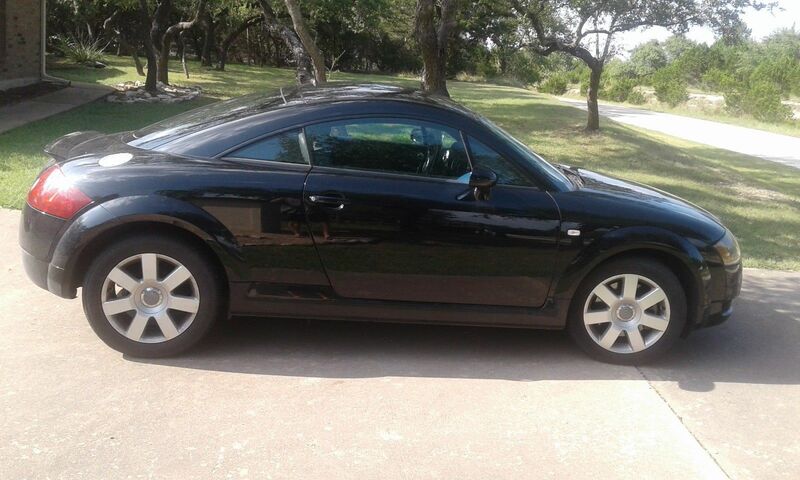 Find this 2000 Audi TT here on eBay offered for $2,900 buy-it-now or make-offer located in Brownwood, TX. The original classic Mustang isn't a difficult car to sell in a place like Southern California, but you'd be surprised at the things that sellers do to get more eyeballs on their ads. But this next guy gal needs some advice on how to photograph her car -- let's help. Find this 1965 Ford Mustang 289 V8 offered for $15,750 in Santa Monica, CA via craigslist. Tip from Rock On! The Clark Cortez motorhomes built back in the 60s are pretty cool vehicles that get overlooked in many of the typical classic van/RV discussions. But, they are a nice size that still fits in a lot of parking spaces and offers a whole lot more interior volume than a fullsize van (except maybe for a big high-roof Sprinter or Transit, but those are still expensive). Today we've got a pair from tipper Zach Z. 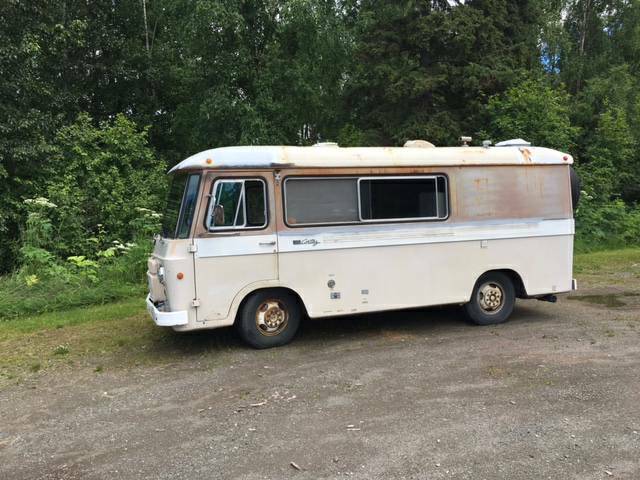 Find this 1966 Clark Cortez offered for $5,500 in Anchorage, AK via craigslist. 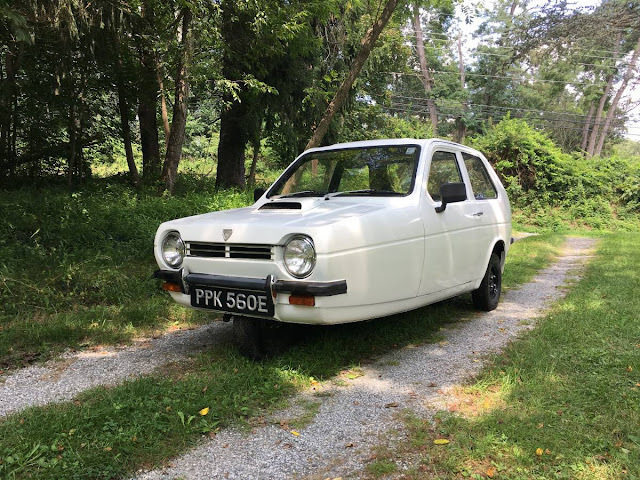 The Reliant Robin was introduced in 1973 to a surprised and skeptical public, but the 70 miles per gallon fuel economy and affordable asking price were enough to sway a few folks who were not put off by a lack of sway bar. Find this 1980 Reliant Robin offered for $2,500 in Downingtown, PA via craigslist. Tip from Steven. What did that dude in the Fast and Furious say? I live my life one quarter of a mile at a time. 10 seconds later, I crash and then I'm free. At least that is what he would have said if this had been his whip. 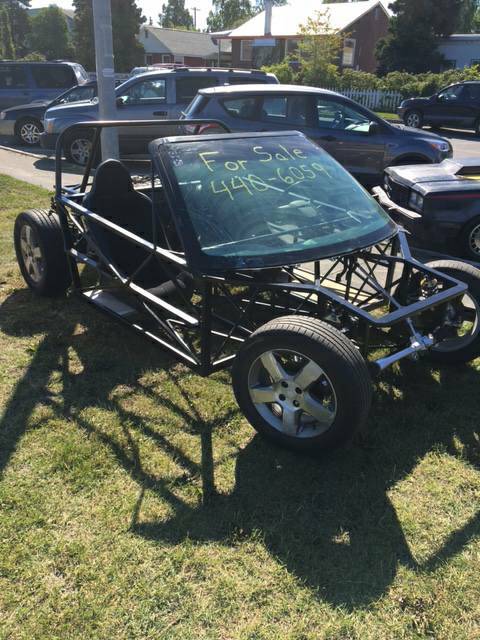 Find this 1989 Acura Death Kart offered for $2,000 near Anchorage, AK. Tip from Zach Z. In 1954 Dodge released a new series of full sized pickups that could be purchased in a conventional front-engine style truck or a monstrous cab over engine beast like you can see here. You don't see many of them and you certainly wouldn't like to see one looming in your rear view mirror like a scene out of the Duel. 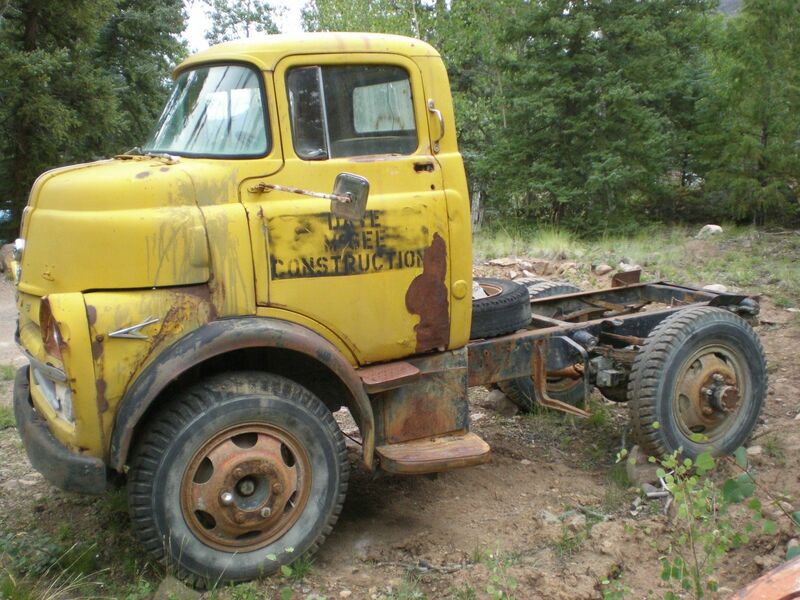 Find this 1957 Dodge C-Series COE here on eBay bidding for $4,650 with 3 days to go, located in Lake City, CO. Tip from Terry. Last week's What Am I? puzzle pulled something of a Colin McGregor, because I didn't think it would go nearly the distance it has so far. Time for someone to beat this out of the park. Here is a slightly larger (and less cropped) version of the photo. The Alfa Romeo GTV6 coupe was a 2-door Giorgetto Giugiaro penned version of the Giuseppe Scarnati Alfetta Sedan (Type 116) built from 1974 through 1987. Strangely enough the GTV6 is still affordable in today's inflated classic car market, so get 'em while they are cheap. 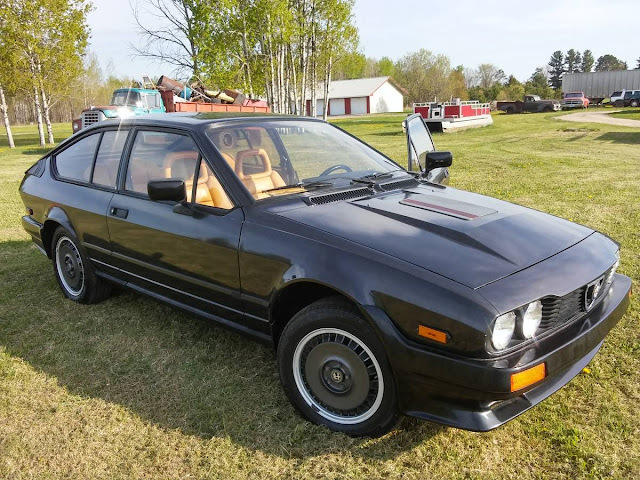 Find this 1984 Alfa Romeo GTV6 Coupe offered for $6,500 in Grand Rapids, MI via craigslist. Tip from Rock On! The Saab 9000 is definitely one of the easiest, fastest, and cheapest cars to modify that hardly any people know about. Unfortunately, these cars have largely disappeared the road and Saab has gone paws up. A number of 9000 parts are extremely difficult to find or are NLA (no longer available) at this point. The best way to combat this is to have a parts car handy. Today's cars are less than 30 miles from one another and when put together could make a entertaining ride (better that I write this here than try to convince my wife of this...). 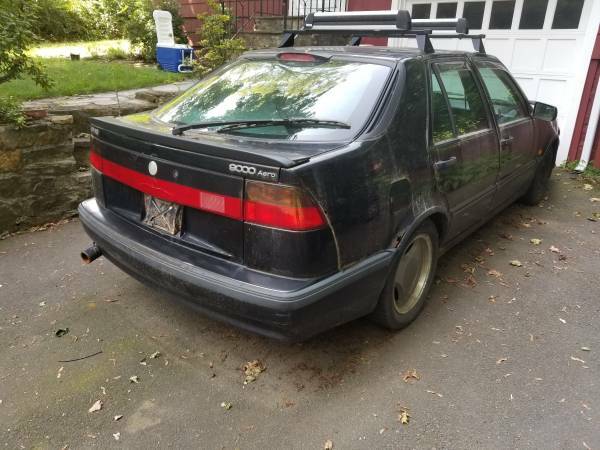 Find this 1994 Saab 9000 Aero parts car and this second 1994 Saab 9000 Aero for sale by two different sellers. The cars are located in the Northwest CT area for about $2,000 total via craigslist. Nearly every car brand has a few independent tuners that work their magic modifying their cars. Dinan has carved out a strong reputation in the USA BMW universe. Today's modified Dinan 540i poses a strong argument against BMW's highest performing in house car the M5. 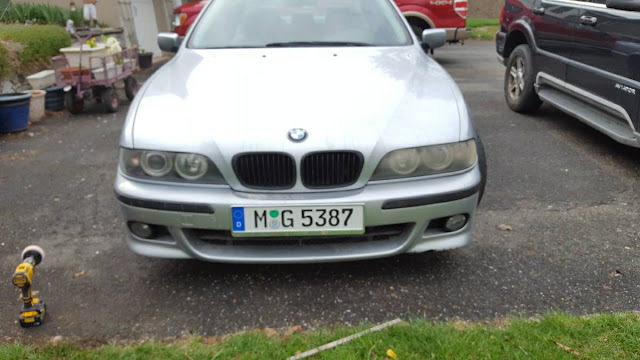 With E39 M5 prices climbing by the day, the price disparity between the two cars is literally huge. The stock 540i makes nearly 300 horsepower and is a bargain performer in it's own right. Find this 1998 BMW 540i for sale in Newtown, CT for $9,650 via craigslist. 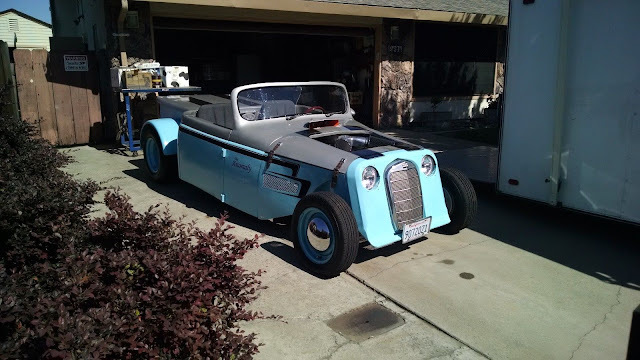 The art of the custom car has changed over the years -- and most of the "custom" stuff you find for sale today is just a bunch of junk from an online catalog randomly put together. Thankfully there are a few visionaries still around who will build something truly unique...some anomaly. Find this 1956 International Rod here on eBay offered for $15,500 buy-it-now or make-offer located in Ceres, CA with 4 days to go. Tip from George. If you didn't think the world needed a Donkbuggy...well you'd have been wrong. Where do I start..? 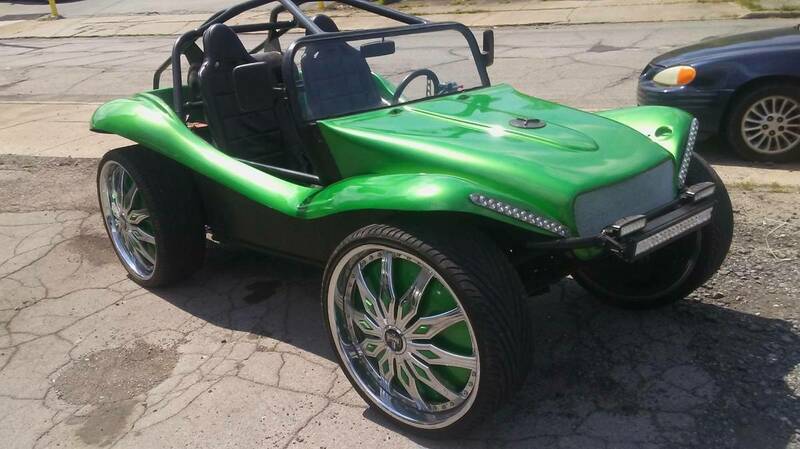 The Donk is an urban commuter that uses HUGE wheels and a significant list, but the buggy is a small offroad style beach cruiser...mix them together and you get this 1966 Volkswagen Donkbuggy offered for $7,500 in Youngstown, OH via craigslist. Tip from Doug. Tip from Matt C who writes: Its like the Allante of Nissans...Fwd: This is not the convertible Jerry wants. But chances are somebody else who reads DT does. 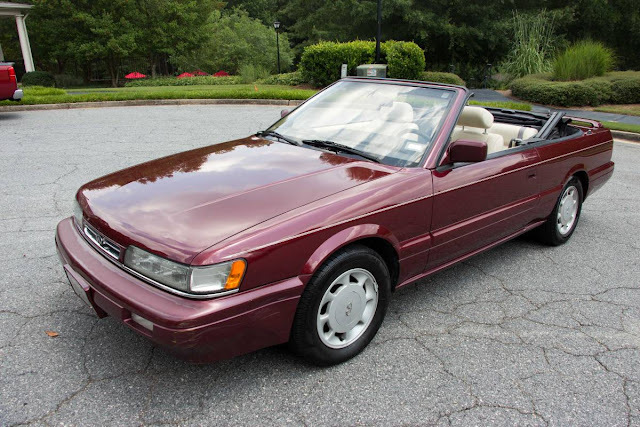 It's a bit porky and older than what Jerry wanted, but when was the last time you saw an Infiniti M30? Did anyone even see them when they were new? This was basically the non turbo 300ZX mechanical bits wearing bodywork that looks like a two door, drop top version of a 1989 Nissan Maxima. And I found a very clean one looking for convertibles I'd overlooked. Find this 1991 Infiniti M30 offered for $5,950 near Atlanta, GA via craigslist. It doesn't matter what they call it...the Monterey Historics, the Rolex Motorsports Reunion, the Laguna Seca Monster Jam or the Bay Area Histrionics -- this is the ultimate car show. It starts with the dirt parking lot, that is this ridiculous collection of million dollar exotics and classics parked on mole hits, and continues to the track that is alive with the sounds of classic combustion. See the full photo album here.